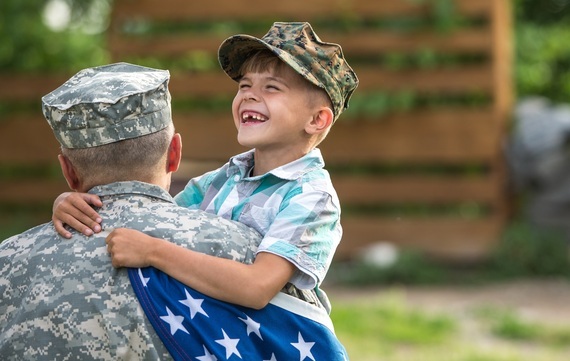 Are Banks Open on Veterans Day 2015? Men and women who serve in the U.S. Armed Forces make sacrifices for their country. In honor of them, Veterans Day is celebrated. Unlike Memorial Day, which honors the memories of soldiers who have died in battle, Veterans Day is a time to acknowledge all surviving and deceased veterans, active and retired. So, when is Veterans Day? Nov. 11 marks this annual tradition. And although the most significant event of Veterans Day is the wreath-laying commemoration at the Tomb of the Unknown Soldier, you might choose to attend any number of similar local events, parades or other ceremonies. Volunteering your time at a local VA hospital is one way to pay tribute on this holiday, or donating money to a charity like the Wounded Warriors Project. If a financial contribution is in order, you might need to visit your local bank or credit union to withdraw money, make a transfer or certify a money order or check. But are banks open on Veterans Day? Although Nov. 11 is a federal holiday and most bank branches across the country will be closed, there will be exceptions. Here are banks that will be open and closed on this holiday. Which Banks Are Open on Veterans Day? Safeway on E. Cypress and Pine Street in Redding, Calif.
Meijer locations in Hamburg, Lexington and Richmond, Ky.
Coborn's in Little Falls Eastgate, Minn.
Albertsons in Edenbower and Stewart, Ore.
Safeway on Hwy. 20 in Bend, Ore.
Walmart in Clarksville and Ft. Campbell, Tenn.
Safeway in Nob Hill, Wash.
Fond du Lac in Horicon, Princeton and Ripon, Wis. Meanwhile, all branches of American Chartered Bank and TD Bank will be open for Veterans Day. All in-store locations of Ohio Valley Bank -- such as at Foodland, Walmart and Save-a-Lot -- will be open from 10 a.m. to 1 p.m. Additionally, all Northfield Bank branches will be open for business. This article, Are Banks Open on Veterans Day 2015, originally appeared on GOBankingRates.com.